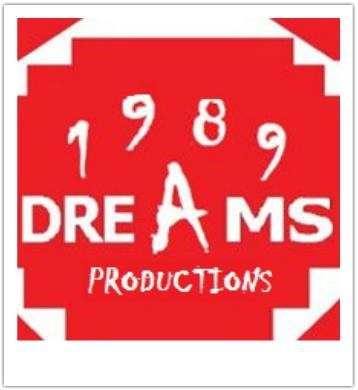 1989 Dreams Productions is a Houston based production company that produces plays, online content, short films and host workshops throughout the Greater Houston area. Founded by Harold JAY Trotter a graduate of Grambling State University with a degree in Music Performance and minor in Theatre, 1989 Dreams mission is to Create Entertainment. Innovate Minds. Move Generations. Houston’s Favorite Comedy Troupe. Founded by Kevin Farren & Joe Bates. A Couple Of Stand Up Guys is dedicated to improving the Houston Comedy scene, showcasing talent in a Variety Show setting. Featuring Comedy and Music! A Couple of Stand Up Guys formed in January 2012. It is a rotating group of comedic talent from the Houston area set on revitalizing the local comedy scene with new talent. A Couple of Stand Up Guys shows feature the best of Comedy and Music culled from the Houston Open Mic scene. Currently the group is performing Bi-Monthly shows within the Houston area. A Delsi Welch Production is a local theatrical company that specializes in live theatrical stage performances regional and soon national. We are dedicated to bringing educational, spiritual, family oriented, self-improvement, and social issues through our presentations to the public. The purpose of A Delsi Welch Production is to give local actors an opportunity to show case their talents and also provide them an opportunity that they may not have in the entertainment Industry. A Delsi Welch Production encourages actors, actresses, singers, song writers, rappers, dancers, playwrights, and anyone who is interesting in getting involved to participate. 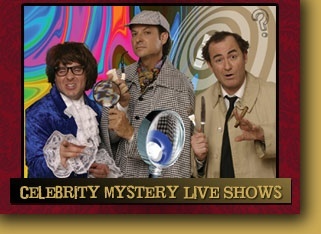 We also bring wonderful theatrical entertainment to the community. A Trinity Production was create to promote healthy quality live production via gospel plays, urban inspirational plays, gospel concert etc. They pride their shows on being family-oriented productions that inspire, uplift, and deal with true-to-life events. They are serious about bring quality entertainment to the community. Production company devoted to fostering unique artistic expression in Houston. 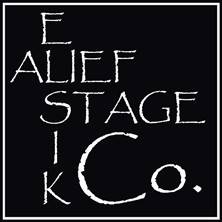 A. L. Efficacy Movement, Inc.
A. L. Efficacy Movement, a 501(c) (3) nonprofit, tax exempt organization, whose mission is to exist as a Professional Theatrical Performance and Fine Arts outreach company without walls. The goal is to create, produce, perform, teach and instruct through a series of performances and workshops. We seek to give concert exposure to many works of modern dance that has theatrical and dramatic elements. The diverse disciplines of dance including tap is our trademark. Panel discussions on filmmaking and the creation of scripts are offered. As part of our outreach programs athletics are included. These offerings will be used to provoke thought and creativity in the youth, young adults and the more mature that which creates an atmosphere of change through self-awareness, self-esteem, ability and capability with morals and values, whereby, the positive forces of humanity can flourish perpetually in the midst of societal ills. Hence… The use of Effective Elements of Movement from a variety of creative disciplines to produce the intended result………..EFFICACY!!!!! From a small group of part-time actors, the company has grown to a full-time, professional staff of 44 who view Christian theater ministry as a viable career choice. Under the artistic leadership of Mrs. George, the A. D. Players have offered Biblical truths through theater for audiences numbering over two million throughout the United States and Europe. The company is known as one of the oldest Christian theater companies in the United States, and one of the pioneering companies for this innovative art form. ACE Theatre is a young non-profit community theatre, but we carry in our ranks many seasoned veterans. 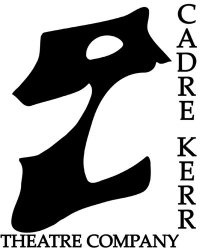 Our mission is to bring the very best in community Theatre to Northwest Houston through education and quality productions. We are always looking for new people young and old. Auditions are open to the public and no parts are pre-cast. We also welcome those with stage fright to help out backstage in a variety of ways: programs, ticket sales, sound, lights, set construction, etc. Acting Bad Productions is a company that entertains, & educates through live performance (stage plays, film, music, & poetry). 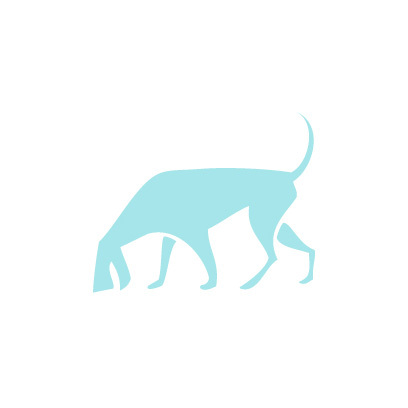 Formerly Palmore Productions – IamJoeP. Joseph "JoeP" Palmore established ACTing Up Studios with a vision to share his experiences and expertise in Theatre, Stage Production, and Spoken Word, in order to create an innovative approach to performance training for seasoned and aspiring performers. ACTing Up Studios specializes in performance training for individuals and group workshops, professional development in the working arena, production consulting, and also youth performance development. Providing an intense and interactive course study for varying class levels in skill and diversity, the primary goal is to transform lives through a solemn pursuit to exceed in the performing arts. Show established in New York off Broadway in 1989 with historically great reviews. Our cast consists of a host of full-time professional stand-up comedians, celebrity impersonators and/or actors; union and non-union. Please refer to our critics listing for further references. Performance is 80% scripted comedy / 20% Improvisational. Audience participation is always incorporated and laughter is never left to chance. 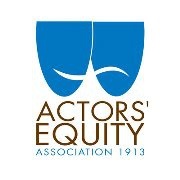 Founded May 26,1913, Actors’ Equity is the performing arts labor union representing professional actors & stage managers in the US. Aeon Theatrix is Houston’s newest professional musical theatre company, bringing the modern musical to the small stage. Experience your favorite productions in a new way with intimate, immersive stagings designed to draw the audience into the world of the show. 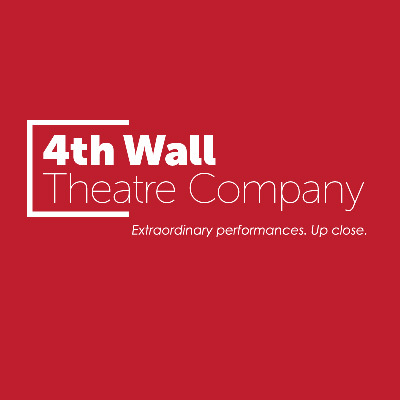 We are committed to working passionately and professionally as a unified group, developing and promoting the arts through the comprehensive study and immersive staging of musical theatre within the Houston community. Alief Elsik High School is a high school in the Alief region of Houston, Texas. This is Theatre Troupe #6198 of Alief Kerr High School. Every year we perform two full length plays, one one act play for UIL competition, and one student written and directed play. Our purpose is to promote and expand creative expression through acting and through technical work such as set design, make up, costuming, etc. Our directors are: Director-Julie Ryan Assistant Director-Toni Maness-Richards Our current officers are: President-Peter Ton Vice-President-Amy Mai Secretary-Jonathan Villegas Treasurer-Cherry Chau Historian-Sean Tecson Permanent Tech Crew Head-Lucy Perez. 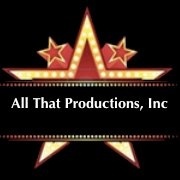 All That Productions, Inc. is a non-profit organization that strives to provide quality family entertainment which promotes family values and uplift audiences. Through various forms of the arts including theater, dance, art exhibits, and literature. We also provide training to actors new to theatrical productions. They also provide services to seniors such as locate housing, helping the with budgeting, and furniture needs. They support our cause by holding writers’ conferences, productions, and donations campaigns. ALL-AFRICA THEATER PRODUCTIONS was established in June 2007 by group of visionaries. It’s the first Africa theater company in Texas. All Africa Theater is in the business to educate and enlighten the world about the African cultures, traditions and religious believes. The company is aimed at bridging the cultural gap between the generations in the United States of America.African actors originate from different ethnic groups in Africa; these ethnic groups are vest with varying cultures, rich oratory and ritualistic traditions. The rich cultures and traditions of African descend has survived into the contemporary society in the form of drama, epics and genre. All Africa Theater embarks on the mission of showcasing the talents of the African actors to the spectacle of the American people. Our BusinessOur mission statement is to create a theatrical culture that portrays the authenticity of the African rich culture. We are to capture the attention of the American people to identify with the educationally and emotionally captivating plays of the African nations. We are to present a quality production for total satisfaction of our customers. We are to promote African actors and showcase them for future careers in Nollywood and Hollywood. The Alley was founded over sixty years ago as Houston’s theatre company. It exists to provide audiences with the highest quality theatre, offering a wide variety of work including new plays, classics, the re-discovered, the rarely-performed, and new musical theatre, with an emphasis on new American works – to provide the inspirational and the provocative – to make our audiences think, feel, dream and be entertained. The Alley Theatre is one of the few American Theatre companies that supports a resident company of actors, designers, artisans and craftspeople throughout the year. Our productions are built and rehearsed in the Alley Theatre Center for Theatre Production, a 75,000 square foot facility adjacent to the theatres themselves, that is state-of-the-art and one of the most complete and largest facilities of its kind anywhere. On our two stages – the 824 seat Hubbard Stage and the 310 seat Neuhaus Stage – we present a wide ranging repertoire of eleven productions each season. The Alley is also home to our educational programs, where we connect with the youth of the city and state, our future audience and future artists, through programs such as From Stage to Page, HYPE (Houston Young Playwrights Exchange) and the Young Performers Studio. Throughout our history, the Alley has earned a national and international reputation for artistic achievement, including the Tony Award, and Alley artists have garnered praise from audiences across the country. We are proud to be part of Houston and Houston’s refulgent arts scene, one of the most dynamic and diverse anywhere. And we are grateful for our subscribers and loyal supporters, many of whom have been with us for years, and many of whom are just joining the Alley and discovering its vitality and excitement. The Alley knows that theatre is a powerful and transformative experience and we look forward to sharing it with you, every time you become part of the Alley Theatre audience. Young Performers Saturday Studios are process classes that teach students how to do theatre. Basic skills such as acting, writing, directing, voice, movement, and improvisation will be taught on a continuing basis with students constantly being challenged to expand their skill set. Occasional sharing sessions will be scheduled as students achieve certain benchmarks, but the focus will be less on performance and more on becoming better artists of the theatre. This is a great program for students involved in other theatre and performing arts programs. Founded by Mel Petersen & Anna Brodl, Amatol Productions is a multimedia content production company that specializes in videography, photography, editing, and graphic arts. We handle everything from live events to narrative film production and have been operating within the Houston area and surrounding parts professionally since 2014. Anamdel Productions is an entertainment company. We are in development of fashion, film, television, and theatical projects. “Antrepriza” – is a Houston based theater project (non-profit) formed in July 2010 by Anna Shchelokova. Anna joined four professionally exquisite actors from the Russian Theater presently living in Houston to her project. The participants of the group are as follows: Vasiliy Yasenev, Alex Pominov, Edita Rozenberg, Slava Nadvoretsky. Collectively they have performed in countless stage projects; in addition Vasiliy, Alex and Edita have acted in movies.